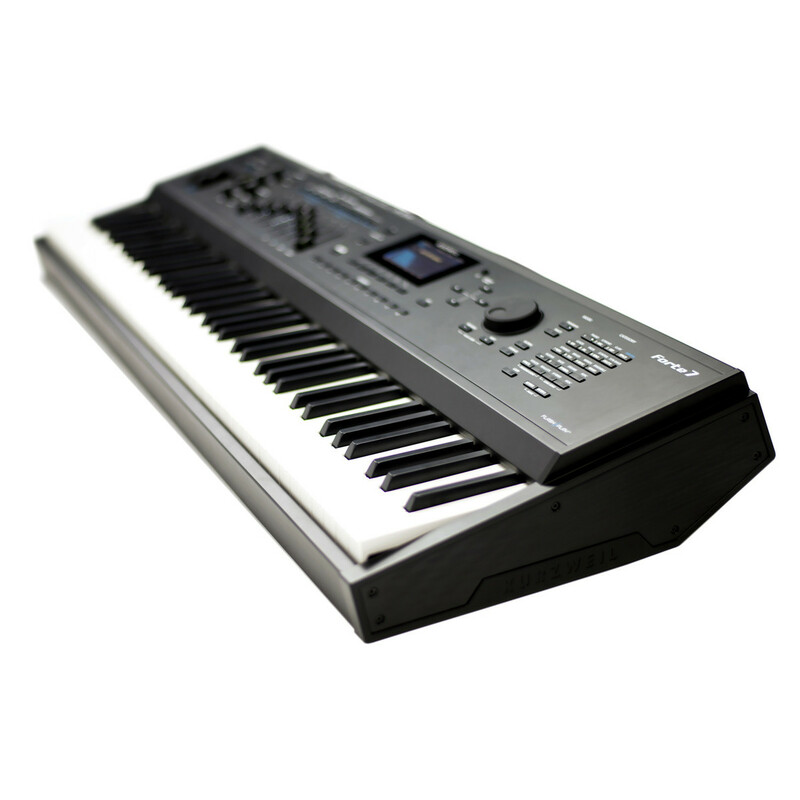 The Kurzweil Forte 7 is the most advanced keyboard to ever wear the Kurzweil logo - now in a more portable 76-note, fully-weighted package. With 16GB of hand-selected sounds, KB3 real tone organs, deep editing capabilities and intuitive control, the Kurzweil Forte 7 is perfect for performers. 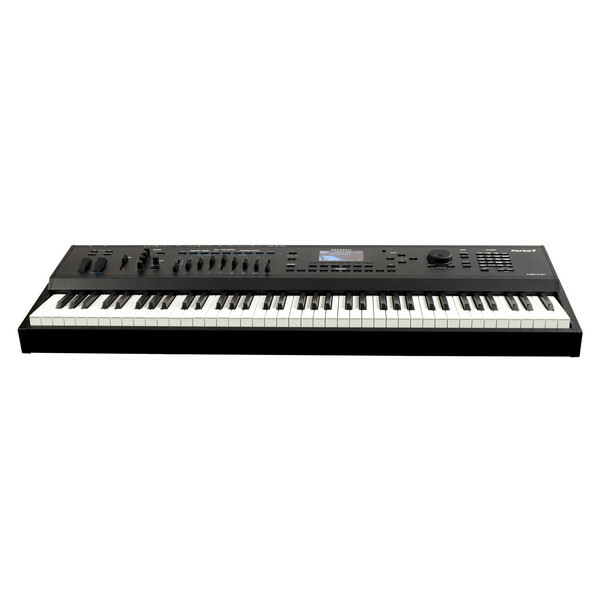 The Kurzweil Forte 7 features new, hand-selected German and vintage Japanese concert grand pianos, as well as new Rhodes, Wurlitzer, Clav, Harpsichord, Orchestral Percussion, Celeste, Glockenspiel, Chimes, Bells and Crotales along with a wide selection of sounds from the acclaimed PC3 and KORE 64 expansion, all delivered with unprecedented expressiveness and an obsessive attention to detail. Flash-Play provides the Forte 7 with a staggering amount of horse-power; 16 GB sample content with zero-loading time, heaping mounds of powerful DSP and ultrafast performance. 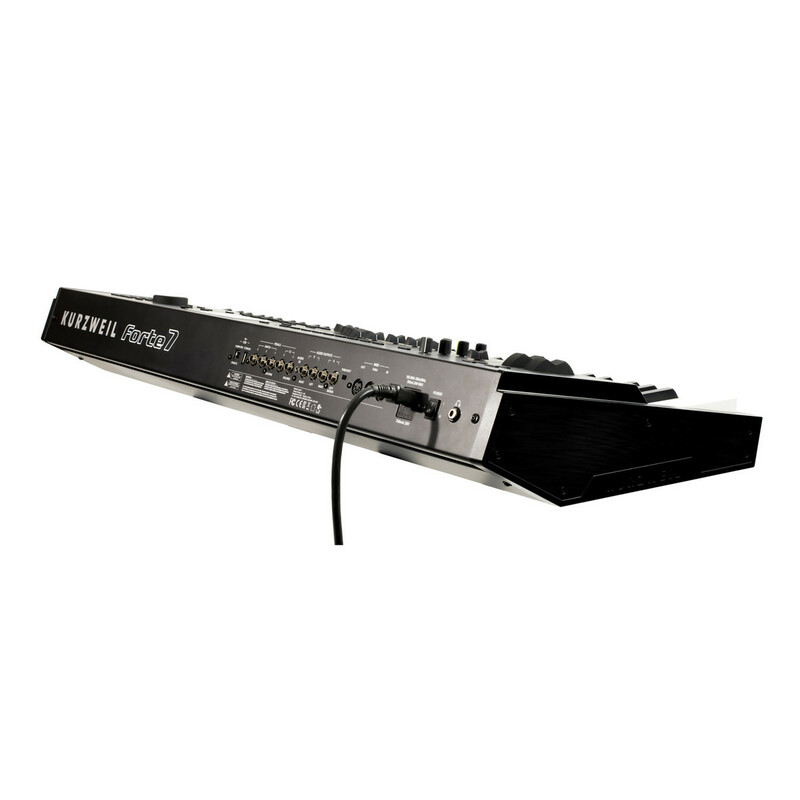 Every sound within the Forte 7 is perfectly matched to its 76-note fully-weighted Italian hammer-action keyboard with aftertouch. Modelled after classic Hammond, Vox and Farfisa organs, the KB3 features all the controls you want and more, including 9 realistic drawbars. With the latest OS , KB3 is now Polyphony Free*, no longer using any of the Forte 7's 128 voices! (*does not apply to Vox/Farfisa programs). The Forte 7 features award-winning Reverbs, Delays, Choruses, Flangers, Phasers, Distortions, Rotary Amplifiers, Compressors and more. Room too boomy? Need to add some punch? No problem. Dial it in with the Master Compressor & EQ section featuring Bass, Treble and sweepable Midrange. Access your 10 favourite sounds with one button press, conveniently located right below the Forte 7's display. (With the latest OS there are now 16 Banks of 10 Favourites, providing 160 total favourites) Get deeper into editing your Forte 7 Programs, Multis and Effects. This pinao features 9 Sliders (with brilliant LED ladders), 6 Switches, 2 Wheels, 3 Switch Pedal Inputs, 2 Continuous Control Pedal Inputs and Aftertouch (1 sustain/switch pedal is included). 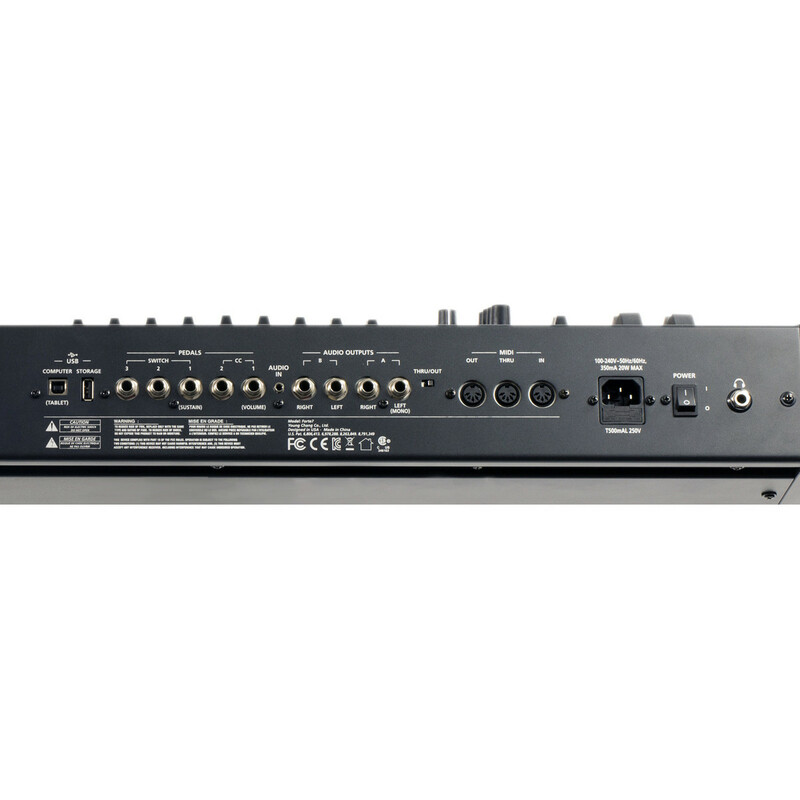 Pitch/Modulation wheels along with dedicated -/+ Transpose, Tap Tempo and sound Variation controls are conveniently located right on the front panel. Navigate the Forte 7 with a new 4.3” 480x272 widescreen colour LCD display. Plus make easy Category and Program/Multi selections and save your own preset for each Category. Four (2 pairs) 1/4" balanced TRS analog (24-bit DACs) Automatic mono switching on both pairs.